Thick, heavy walled glass cups for use with traditional Chinese fire cupping techniques. 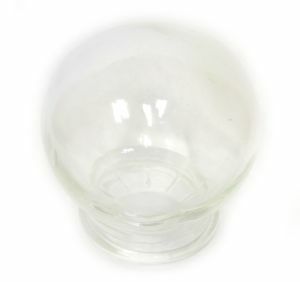 Heat or fire from a candle, disposable lighter, or burning cotton/alcohol ball held inside the cup and then removed is customarily used to create the vacuum. A cotton ball rubbed with vaseline will provide a long lasting flame and can be held easily with our hemostat clamp.